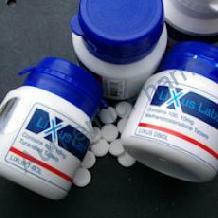 Alternative names : LIXUS DBOL 10 MG.
LIXUS Dianabol tabs will provide you with excellent gains and LIXUS Dianabol is the number one choice if you want to get big and strong fast and that�s what makes it the most popular steroid on the market. LIXUS Dianabol tabs stack well with a number of other LIXUS Steroids, it is noted to mix very well with LIXUS Testosterone enanthate and LIXUS Deca 300. Together you can expect exceptional muscle and strength gains with side effects not much worse than LIXUS Dianabol on it�s own. The half life of LIXUS Dianabol is 6 hours, a single daily dosage schedule will produce varying blood levels with ups and downs during the day. In my opinion it is best to split the dose up during the day rather than take them all at one time. Taking into account the half life it seems logical to take LIXUS Dianabol earlier in the day several hours before your training for an androgen rich metabolism to heighten the uptake of nutrients, especially the critical hours following training.